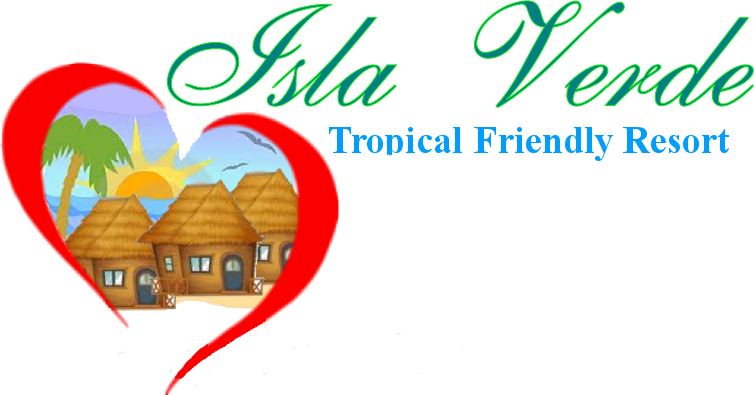 During the first week in May, two friends, Agnes and Shella and I had the opportunity to to stay at Isla Verde Eco-Friendly Resort, even though the accommodations are not completed yet. 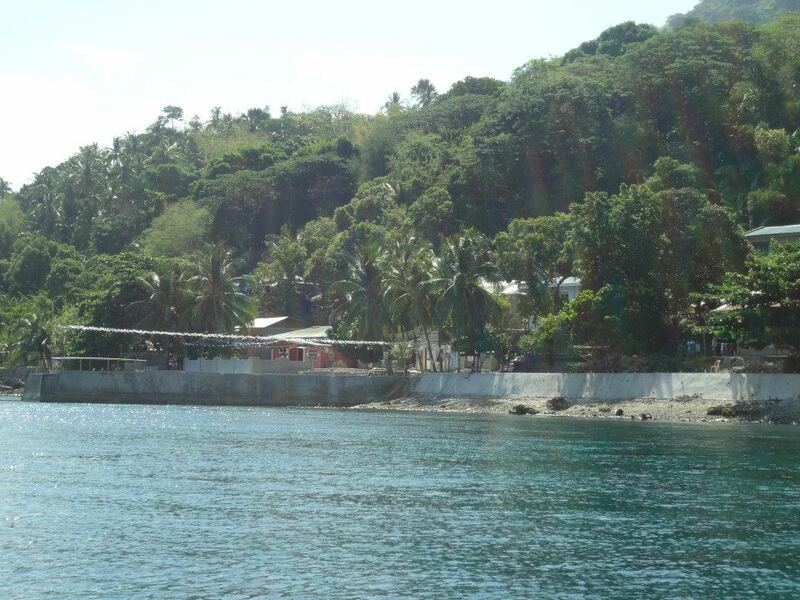 We left Manila in the early morning and traveled by bus to a small beach in Batangas, where we waited for one of the big bancas to take us from the mainland to Isla Verde. Arriving at Isla Verde, there was a pleasant walk to the resort. On the Saturday morning of our visit, we decided to explore the isla, and what better way to start than taking a tour with one of the friendly local boatmen. 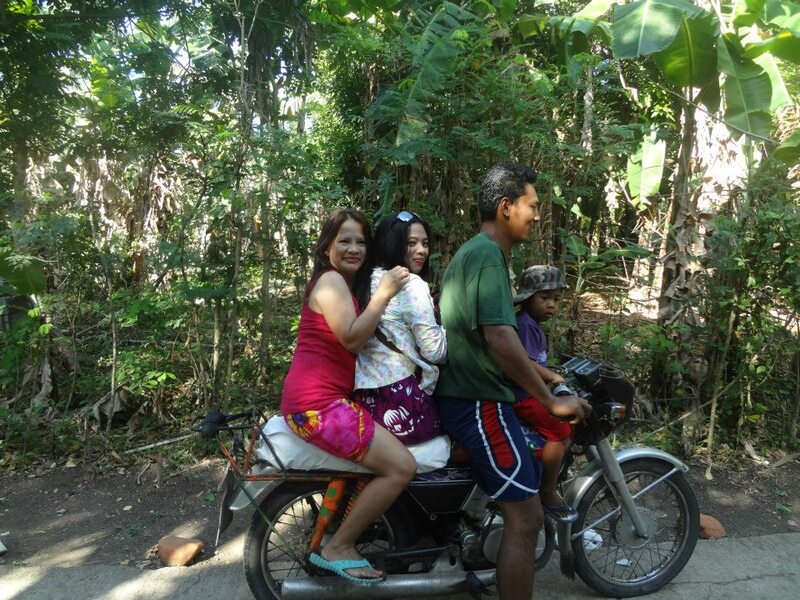 We began the day walking to meet our boatman, Borne, but decided we were a little tired and Agnes, Shella and I took a ride on a motorbike for the rest of the journey to Borne's place. We started our boat trip in Punta, Mahabang buhangin, and we had fun traveling in Borne's small banca, while he showed us how beautiful and green the island looks from the sea. 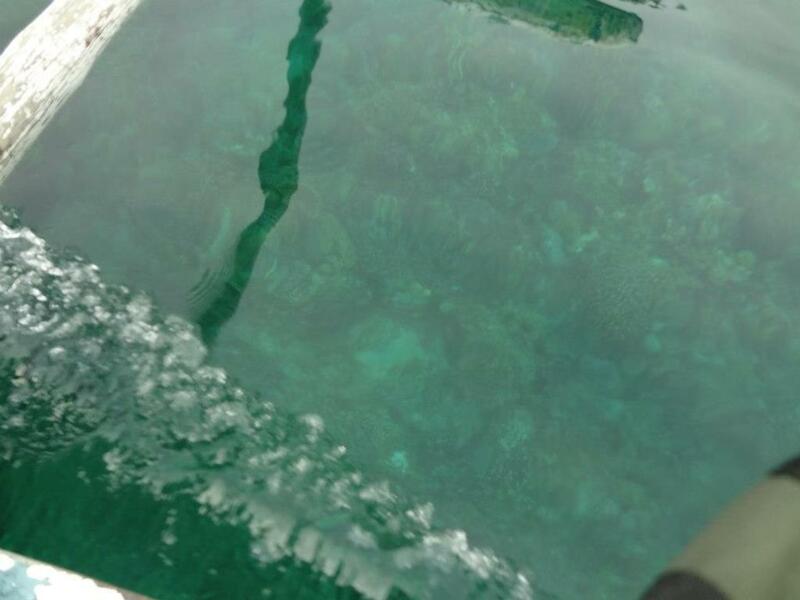 everywhere, and the clear water makes it look like you can reach and touch them. 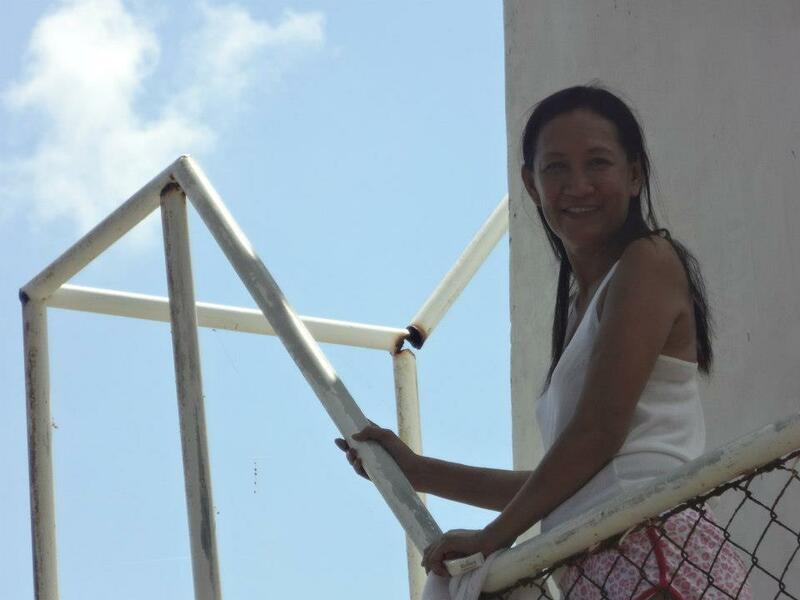 Light house at Punta Cueva, Isla Verde. Borne took us to Punta Cuerva, where we took pictures at the caves and climbed to the top of the light house. At the beach, the girls enjoyed looking at the different shells on the shore, and admiring the views. 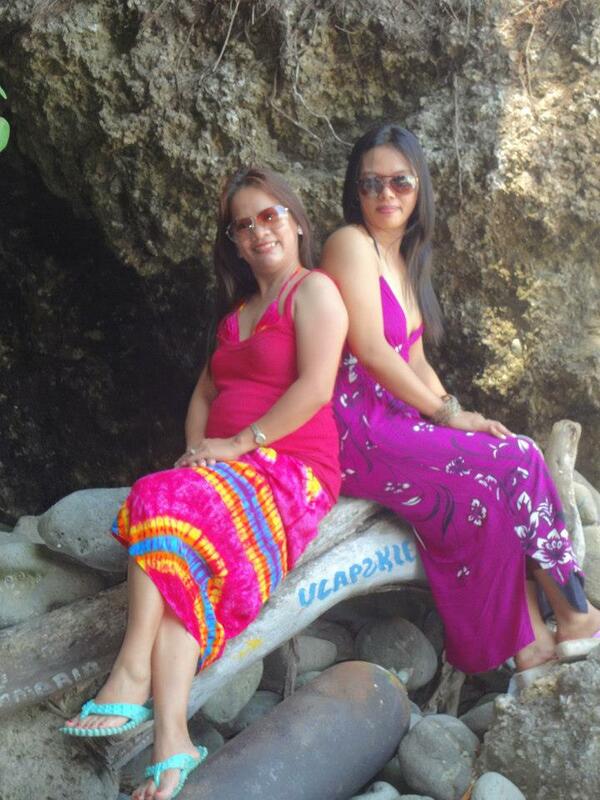 on the island, including the Ozone Diving Camp and Dos Palmas, Verde Island. Borne, our boatman, with American girl, at ozone diving camp. 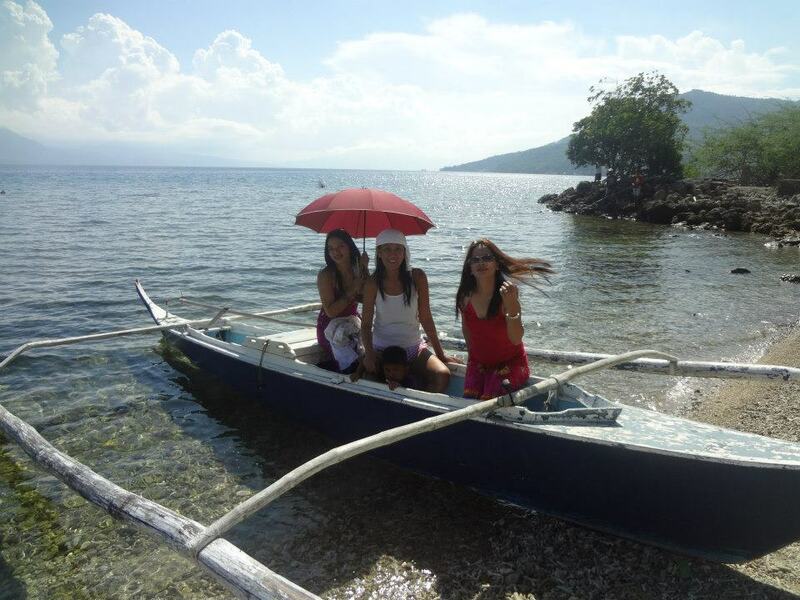 It was the best experience for Agnes and Shella and it was the first time they experienced an island tour by motorbike, boat and walking. Our island tour took about four hours and there are still many more things to see and do next time we visit.